Prodovite - Nutrition You can Feel. Prodovite - Nutrition That Gets In!!! You are made of Air, Water, Food, and Sunshine. The importance of each of those things can be measured by how long you live without them. So, air and water are the two most important to staying alive. Moreover, the quality of your health is directly proportional to and dependent on the quality and usability of those factors. Food (nutrition) is what enables your body to use air, water, and sunshine; and Prodovite enables your body to make better use of your food as well. 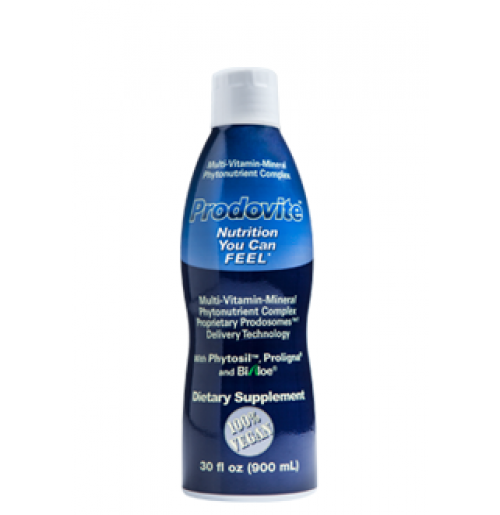 Prodovite™ is a liquid multivitamin, mineral, and phytonutrient complex that uses an exclusive Prodosome™ Encapsulation Technology to promote rapid and sustainable absorption of its nutritional ingredients. 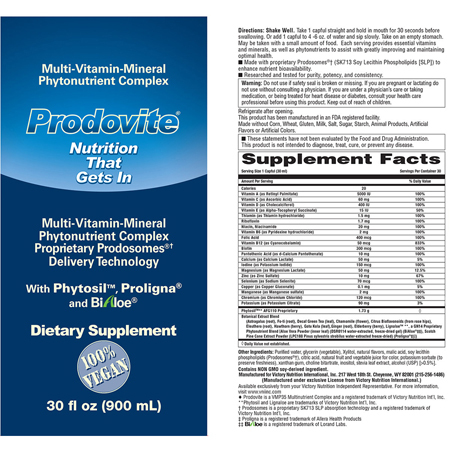 Prodovite™ provides nutrients that enable your body to achieve the best use of air (oxygen), water, and sunshine; and supports optimal health, energy and vitality by simultaneously delivering quality bioavailable and bioactive ingredients into the body quickly and effectively. EFIquence™ Energy Frequency Imprinting technology impregnates and saturates the SK713 phospholipids with a natural solar-evaporated proprietary electrolyte complex to increase the energy signature and benefit of the Prodosomes.